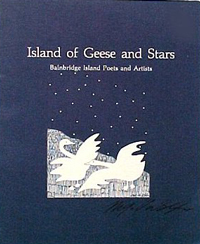 Together with Everett Thompson and Nancy Rekow, Bob McAllister is the editor of Island of Geese and Stars: Bainbridge Island Poets and Artists (1984). The book is a collection of poems which came out of the Bainbridge Writing Workshop. 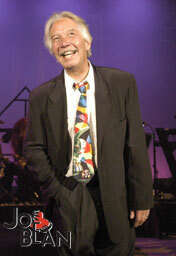 McAllister, a former Bainbridge Island High School English teacher, was named an Island Treasure in 2001. He continues to be active in the local performing arts scene and in 2004 directed Bainbridge Performing Art's production of Joe Bean, a grunge-rock opera written by Marc Nichols, a former student of McAllister's.